A new study from Yale University reveals that miR-148a modifies LDL receptors in liver cells of both mice and humans and suppresses a gene that is critical for controlling levels of HDL cholesterol. High levels of LDL cholesterol — the “bad” cholesterol — increase the risk of heart disease, the leading cause of death in the United States. A Yale-led research team has identified an RNA molecule that plays an important role in regulating cholesterol. Therapeutic targeting of this non-coding RNA markedly reduces LDL while boosting HDL, the good cholesterol. The finding, published online ahead of print in Nature Medicine, may lead to new therapies designed to decrease high cholesterol and heart disease. 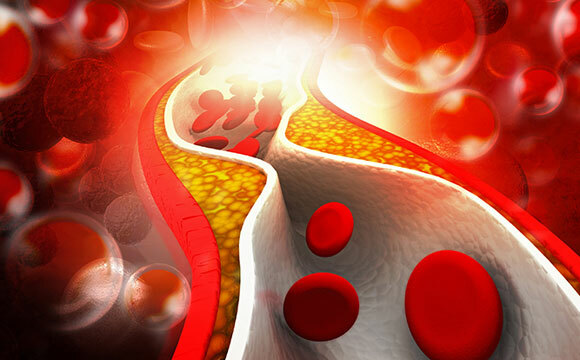 The researchers used a high-throughput screening technique to identify which tiny RNA molecules, or microRNAs, influence LDL cholesterol levels in the blood. They found that a particular RNA, known as miR-148a, modifies LDL receptors in liver cells of both mice and humans. They also discovered that miR-148a suppresses a gene that is critical for controlling levels of HDL cholesterol. Be the first to comment on "Yale Researchers Identify RNA That Controls Cholesterol"